Carving a niche audience and eventually, a distinct identity for its apparel segment, Indian homegrown luxury label, Good Earth, presented yet another notable offering in the apparel realm. 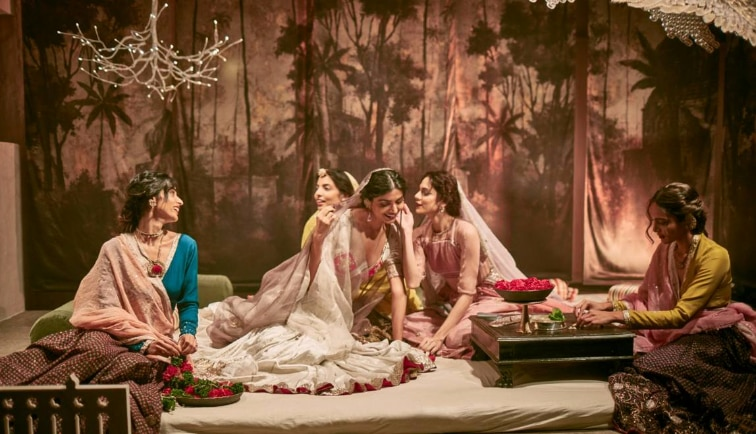 In a candid dialogue, Deepshika Khanna, apparel head for Sustain, Good Earth, lets us in on their couture line, Indian aesthetics, and why it’s the most ideal for a contemporary bride’s trousseau. Good Earth’s prêt line, Sustain, already offers day clothing to women. What made you come up with his new couture venture? Revival of traditional crafts has always been a part of our design philosophy. In 2010, with the launch of Sustain we started a line of elegant day clothing for modern women, rooted in the textile heritage of India. After eight years, we take the conversation forward to a broader universe, to tell the story of craft through the lenses of couture and refinement. Like all our past creations, The Miniaturist has been woven together keeping in mind the ethos of the brand, which is slow fashion. The line is a bespoke collection that highlights the intricacy and workmanship of gota in its original form. What is the concept behind this couture line? As the name suggests, the line is built on the concept of Miniature Art that thrived in the 11th century with the arrival of the Mughals. Miniatures were all about transcending worlds of imaginative fantasies to create canvases of eternal beauty. The Miniaturist has been brought to life to evoke this sense of pleasure and astonishment! Who is your target audience for this line? There is always an increasing demand for authenticity in traditional crafts. Having said that, our line is for anyone who has an eye for detail and an appreciation for fine workmanship. Where have you drawn inspiration from and why the title, The Miniaturist? 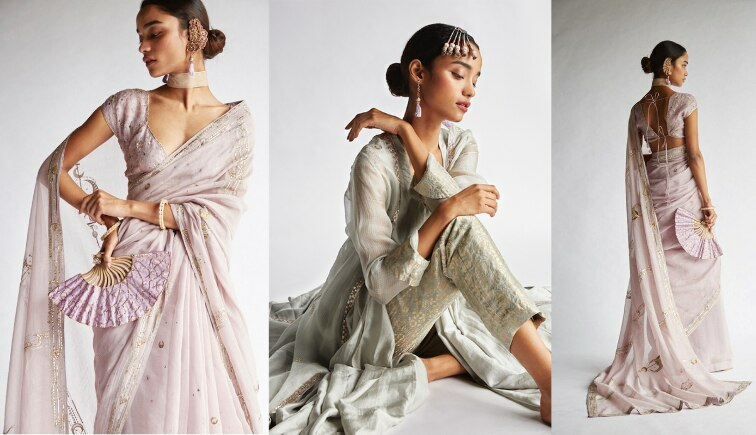 This assortment is a conversion of our vision of slow fashion into very classic, sheer silhouettes, adorned with the beauty of sacred geometry, intricate symmetry, and motifs inspired by Islam and Hinduism- garden and cosmos, consisting of chaand, baadal, sitar, cypress, et al. Nowadays, got is often used commercially to produce cheaper and less fine alternatives, would this line restore the lost glory of gota? Gota was developed under courtly patronage. A precious metal in itself, the craft demanded the artisan to invest time and capital. Over time, gota started to be replicated with synthetic threads that allowed it to become more quotidian and cheaper, bringing down the level of quality. The vision for this line is to show the beauty of gota in its original form. We played with the elements of versatility and flexibility of gota, pushing creative boundaries to create wonder and delight through Good Earth’s aesthetic of a fresh and modern version while taking no chance on the quality! What motifs and colours have been used and what do they signify? 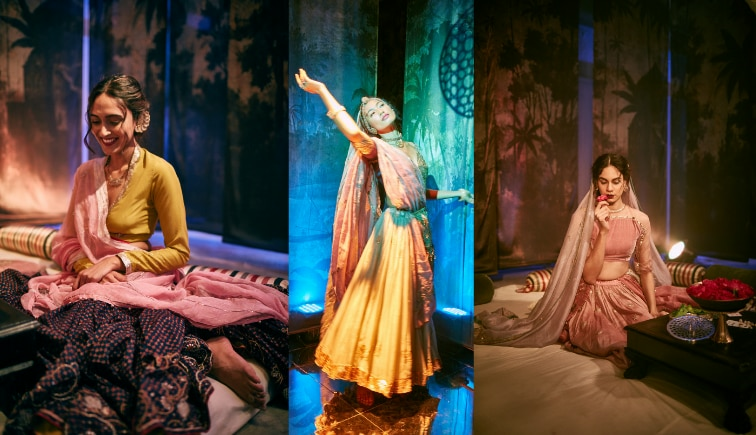 The Miniaturist motifs are inspired by the idea of Charbagh – the paradise of gardens and cosmos. They are an amalgamation of both symbolic Muslim motifs and Indian miniature motifs like Chand, Baadal, Sitaara and Cyprus. Flowing through the same thought is the colour palette of amethysts, smoked aubergines, tobaccos, aquas, pale roses, jades, Mogras, golds and apricots; to create a vision of beauty, fantasy and joy. Do you think this collection will work for brides-to-be, on the basis of the colours, cuts, and embroideries? Most definitely! 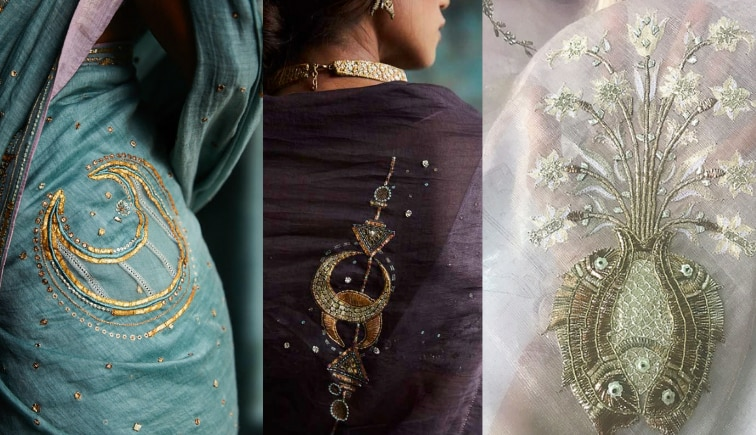 Traditionally, Gota was essentially worn by the Royal and Elite households as it was originally made from gold and silver threads in traditional motifs. 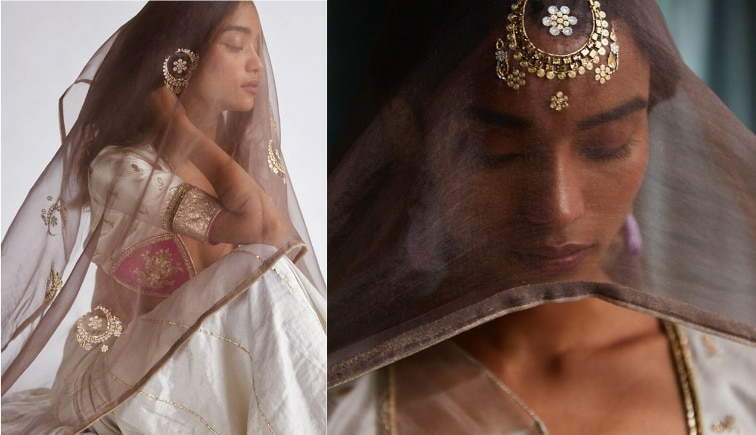 As the craft has been around since the golden era, its use has been elemental in bridal wear and has been used in all categories of couture and masses. With The Miniaturist collection, we have created a more modern aesthetic of the same motifs while taking special care of the quality of the designs and garments. The easy-to-wear silhouettes can be worn and styled in various ways for the new-age bride, giving it the perfect bridal look while keeping it subtle and light. How would you describe the creations? Good Earth’s ethos stems from the revival and restoration of Indian culture and heritage while weaving in the story of today’s language. The resulting couture collection follows the same steps of showcasing a craft that had become mainstream in its beauty. The use of old traditional crafts intricately embroidered with the contemporary nuances makes our creations timeless. Any tips/ fashion advice for the brides? Amidst the fix, every bride has a brief vision of how she wants to look on the big day. Which is why every girl should be as traditional or as modern as she wants to be. I would just advise on bringing in a bit of the heritage through your grandmother’s nath for example; which would add a narrative to your ensemble. And because our culture is so rich and runs so deep, they can be many more such ways to include them on your big day. How does sustainability factor in when a bride is choosing her outfits? We believe, through our apparel line, we can achieve sustainability by choosing traditional crafts and designs, mindful selection of designers who are sourcing and producing ethically, and of course carrying familial traditions forward and re-using heirloom pieces is a great way to keep the sustainability conversation alive in your own wedding.